Tim Duncan is the greatest four to ever do it. The only thing is, he's a center. Semantics aside, Tim has been reigning supreme since he put on a Spurs uniform. 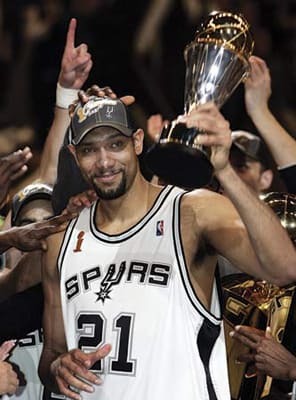 "The Big Fundamental" won a title and the Finals MVP in just his second season. He plays like a robot. Every move is calculated, every shot, pass and block are the same. Folks complain about his game, but he's been the face of the winningest franchise in the four major sports the last 15 years. You'll love him when he's gone.